The Provincial Cancer Care Program is committed to engaging with Newfoundlanders and Labradorians to establish priorities and to ensure that program decisions are informed from input by patients and families. The Cancer Care Program’s Patient and Family Advisory Council (PFAC) was established in 2017. The council had its first meeting in September, 2017. 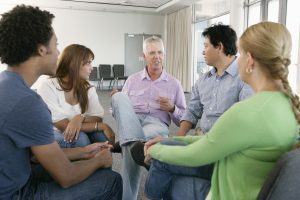 Membership consists of nine patient and family advisors from the four provincial Regional Health Authorities, representing a diverse demographic group. Front-line staff and managers also attend and participate in advisory council meetings as needed. The council is co-chaired by a patient and family advisor and the director of the Provincial Cancer Care Program. What are the roles of client and family advisors? What are the benefits of client and family advisors? How can I become a client and family advisor?